Surrounded by favorite Christmas food and drinks, it’s easy to pack on pounds and guilt at the same time. 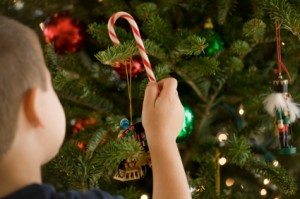 Eugene, OR dentist Dr. Rita Feldmanis and her team at Feldmanis Family Dentistry encourage their patients to follow these tips to have a guilt-free Christmas day. Christmas is hectic, especially if there are children or out of town guests staying in your home. Regardless of where you find yourself this holiday season, don’t forget to drink a lot of water. Rehydrating throughout the day helps keep your body energized and your mind clear and focused. There are many times when we might feel hungry but our bodies are actually signaling the need for rehydration. Water is the best to drink to rehydrate mind and body – it has no calories, no sugar, and helps naturally rinse away sugar from our teeth. It might be as simple as a walk around your neighborhood, but exercising on Christmas Day might be just what you need to enjoy the season. Work off some of the sugar and chaos by heading out into the refreshingly chilly weather. Take the family dog or head out alone to help manage stress and refocus on what’s really important during this time of year. If Christmas day is out of the question, try to fit in a work out on December 24th and 26th to help both prepare for and recover from the Christmas day festivities. With our Christmas favorite foods at easy reach, it’s tempting to just eat sugary foods all day. However, this can be bad for our oral health as well as our blood sugar levels. Stay more even physically and emotionally by including more nutrient-dense foods into your day to help balance out all of the sugar. Focus on getting enough protein and vegetables as you sit down for the traditional Christmas meal with friends and family. This will help you control portions of desserts that are so easy to eat this time of year. While it is the season for candy canes and peanut brittle, these foods tend to “stick around” on the surfaces of teeth. Bacteria then have an extra long time to feed off this sugary residue, producing the acids that decay teeth. It’s best to avoid these kinds of sticky food altogether if possible. If they are absolutely your favorites kinds of food and it wouldn’t be Christmas without them, brush immediately after eating for good dental health. No matter what specifically you eat during Christmas day, remember to brush and floss before heading to bed. This will keep your teeth healthy and bright for the year to come! Dentist in Eugene, OR Dr. Rita Feldmanis and her team at Feldmanis Family Dentistry wish all of you a very Merry Christmas and Happy New Year!